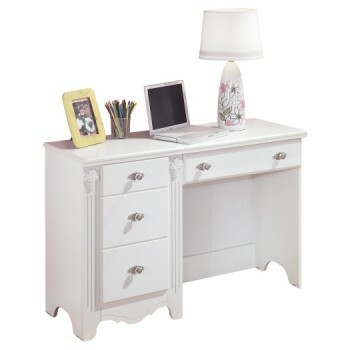 Inspired by French provincial style, this bedroom desk is perfect for la petite mademoiselle. Drawer keeps school supplies close at hand, and cabinet provides storage space for a computer tower and books. Luminous finish complements every color of the rainbow.